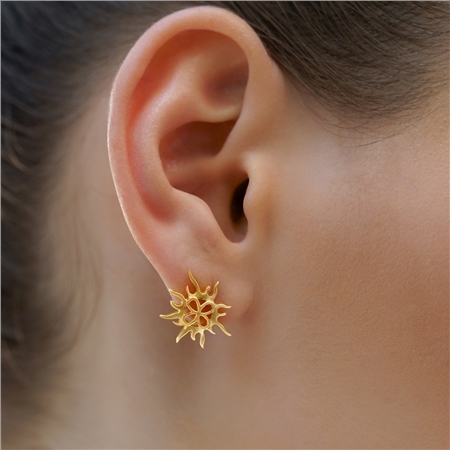 Bring sunshine into your days with these unique sun earrings representing 'power' in your life and dreams. Explore your individuality while affirming your thoughts and goals. Dream your dreams, wish upon the stars and mark the special moments in your life and the lives of those around you.